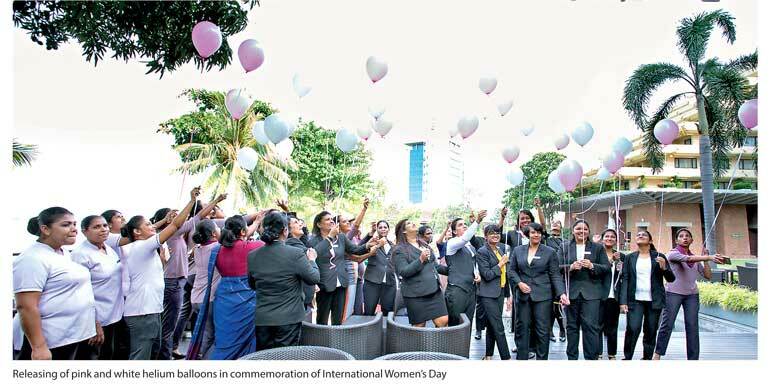 Cinnamon Lakeside General Manager Dermot Gale and the management team hosted an exquisite High Tea for the lady associates of the hotel to celebrate International Women’s Day on 8 March. The event was held at the 7 Degree’s North and the venue was tastefully decorated in a pink and white theme, complete with an extravagant layout of delicious treats. Raffle draws ranging from restaurant vouchers to cakes and spa treatment vouchers were given away much to the delight of the lady associates.